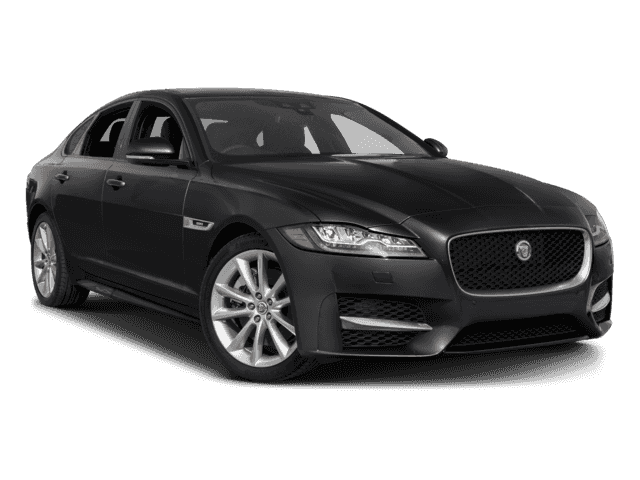 Jaguar Colorado Springs has available for sale a 2018 Jaguar XF R-Sport sedan. This is a perfect vehicle for both driving around town and long road trips. With a sleek black exterior and an ebony colored interior, this is one luxurious sedan. Equipped with a 3.0L V6 supercharged engine, you can expect an estimated 20 MPG city/28 MPG highway fuel economy. Plus, you can look forward to some other great features including power moonroof, low tire pressure warning, remote keyless entry, Meridian 825W Surround Audio System, traction control, technology package, and many more. Qualified buyers can receive 0.0% APR for 60 months until 3/31/2018! If it’s time to upgrade your vehicle, then stop into Jaguar Colorado Springs to check out all our full inventory of Jaguar models. Let us tell you more about the 2018 Jaguar XF R-Sport and show off the many impressive features you will enjoy when you drive it home.